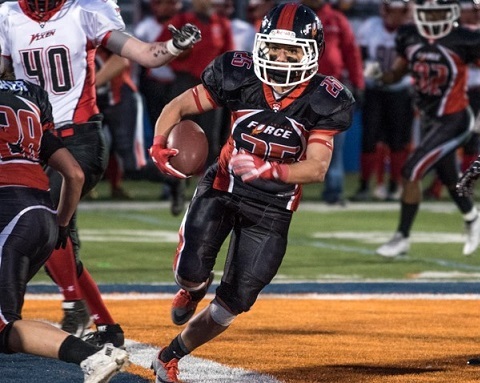 EVANSTON, IL: The Chicago Force wanted to be efficient on offense, excel in special teams, play a physical game defensively and post a shut-out. All goals were accomplished while absolutely destroying the Minnesota Vixen 53-0. The Vixen were only able to generate 69 yards of total offense while being pummeled and abused by the physically dominant Force defense. Meanwhile the Force offense scored on every possession in the first half and led 39-0 at halftime. Prior to the start of the second half the Vixen surprised Chicago by asking for the mercy rule, in which the Force must remove their starting quarterback (Sami Grisafe) while going to a running clock for the remainder of the game. The Vixen have an enormous roster of 68 players - 25 more than Chicago – so the request was unexpected. The game started with a bang as Force returner Cassey Brick took the opening kickoff 79 yards for a touchdown. Jules Harshbarger kicked the extra point for a 7-0 lead just 12 seconds into the contest. Chicago's second possession was a 90 yard drive that was topped off by a 2 yard TD run by Aleksandra Lukasiewicz. The third possession culminated in a successful 21 yard field goal by Harshbarger for a 17-0 lead at the end of the first quarter. 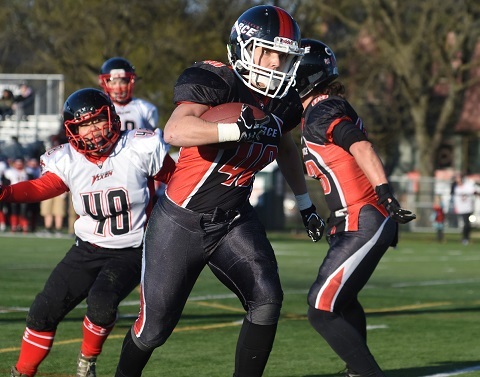 The next Force possession ended with running back Kristy Moran scoring on an 8 yard touchdown run, and Lukasiewicz converted on the 2 point attempt for a 25-0 lead with over 11 minutes left in the half. The Vixen were again unable to move the chains and the subsequent punt was returned 46 yards by Brick for another touchdown. The two point conversion was unsuccessful but the Chicago lead had extended to 31-0. Chicago's ensuing possession also resulted in a touchdown when Moran carried it in from 9 yards out with a couple minutes left in the half. Brick added the two point conversion and Chicago led 39-0. Minnesota was able to chew up the remaining clock to avoid punting again to Brick, who was shredding their coverage team. Brick was named the Offensive Player of the Game for her 4 TD's and 285 yards of total offense, which included a 79 yard kickoff return, 58 yard punt return, 88 yards rushing and 60 yards receiving. Brick also stepped into the quarterback position in the second half when Grisafe was forced to leave the game. 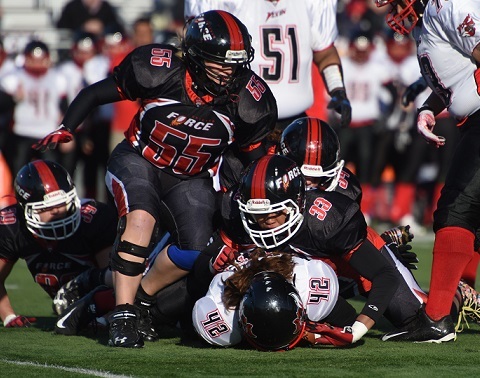 The Chicago defense swarmed the overwhelmed Vixen, led by linebacker Mary Choules who was selected the Defensive Player of the Game for her 10 tackles. Kelsey Casey had 8 tackles, Candace Griffin and Elisha Okrey each had 6 tackles, and Kim Marks had 2 tackles for a loss, 2 sacks and a fumble recovery. Most importantly, the defense played as a unit, swarmed to the ball and dispensed lots of punishment to the visiting team. The Force are home again next Saturday 5/13 vs the Toledo Reign (3-1). Also looming is the 5/20 game vs the #1 ranked Boston Renegades. Force home games are played at Evanston Township High School and kickoff is at 6pm.